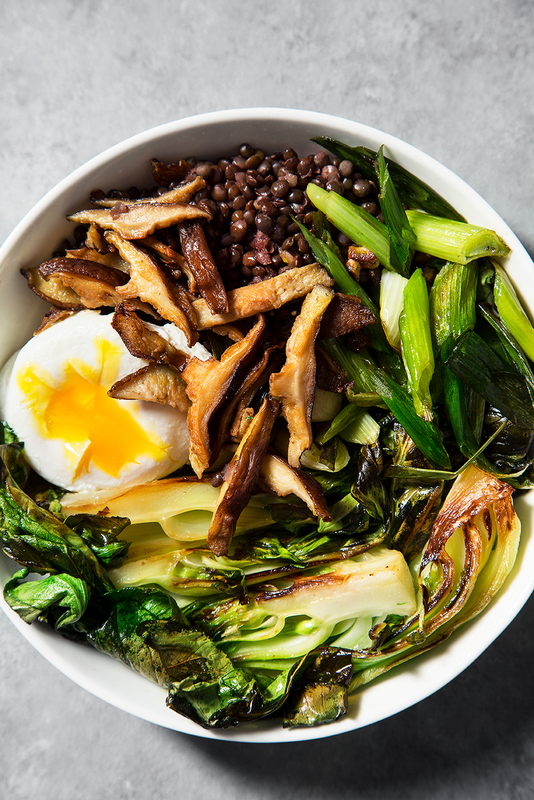 I continue my journey of exploring savory grain plus veggies bowl combinations, and with black lentils on mind this week, I made this dish. Baby bok choy has been one of my very favorite vegetables in the past few years. Whenever I go down to Chinatown, I always get a huge bag of it and then I put it in almost every meal. My favorite way to prepare baby bok choy is just to wash it (very thoroughly between the leaves and the cores, sometimes there is sand and even bugs! ), slice either in halves or quarters, and sauté in oil with garlic or garlic powder until softened and slightly browned. Getting hungry just typing this right now! 1. Mix lemon peel, lemon juice, chili, 1 garlic clove, fish sauce, and ginger in small bowl until well blended. Set aside. 2. Heat 1 Tbsp oil/ghee in a medium pan over medium. Add bok choy and 1 minced garlic clove, season with salt, and cook for about 5-7 mins. Set aside. 3. In the same pan, heat up 1/2 Tbsp oil/ghee and fry shiitake mushrooms until gold and crispy. Set aside. 4. Bring water to a boil in a small pot. Add vinegar and reduce the heat. Crack the egg into a bowl, then swirl water with a spoon and gently slide the egg into the middle of the whirlpool. After about 3-4 mins, use a slotted spoon to transfer the egg to paper towel and carefully pat it dry. 5. To serve, toss lentils with the lemon vinaigrette, season with salt and pepper to taste. 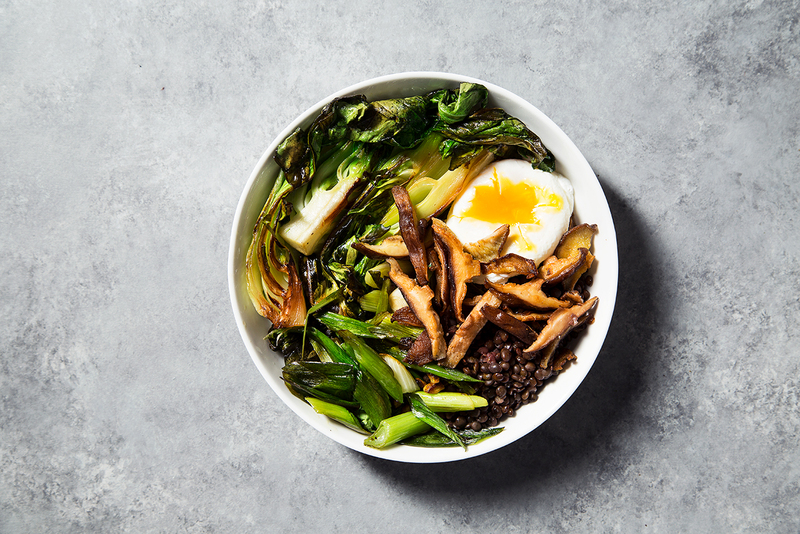 Top with bok choy, mushrooms, and egg.